If you live in Las Vegas (Clark County) the short answer is “yes.” This one-time (can now be taken online) class IS required of all divorcing parties in Nevada who have children together. You will see ways to avoid taking this class as you browse online, but the way to avoid it involves filing your divorce case in counties other than Clark County that do not require it. At first glance this might seem like a good deal for you, but based on years of divorce experience and of domesticating (moving) cases from those other counties to Clark County to address child support and visitation issues, it’s not a good deal at all in the end. Chances are high in a divorce with children that you will return to court at some point. Address any issue you might be having with the other parent not complying with the decree of divorce in regards to visitation, child support, or other issues. Calculate how many times you might return to court between the time your divorce is granted and your child reaches the age of 18. Submit an Order to Transfer Venue to the judge and wait for it to be signed and filed. Once the court clerk in Clark County receives your file you will have to pay a filing fee here to complete the transfer. Only after all of the above has been done can you address the court in Clark County to modify any of the clauses in your final decree of divorce. The average attorney fee to do this is $750 plus the filing costs of approximately $326. As you can see, both are costly choices compared to the $45 it will cost each of you to take the class. You can take it in person for $40 if you prefer that to doing it online. 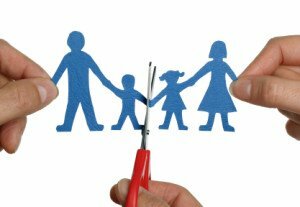 It has been proven that a divorce, a major event in the life of a child, when not handled right, can cause high stress and long-term psychological burden on children. Taking the COPE class helps you help your child through your divorce in a way that will minimize stress. It also teaches you ways to deal with a difficult co-parent. All in all, it’s a huge benefit for a small investment.